An entrepreneur who has won a patent for a digital veena, and also designed a mechanism that fires rockets at a command from a computer aboard the Indian Air Force's Jaguar aircraft? Incongruous but true. The entrepreneurial career of G Raj Narayan, 66, founder and managing director of Bengaluru's Radel Group, has been guided by his twin passions - aerospace and music. Within three months he was sub-contracting for Bharat Heavy Electricals Ltd, supplying electrical coils after investing his savings of Rs 10,000 in a coil winding machine. Together, the group's two companies - Radel Electronics Pvt. Ltd. (which makes security systems and musical instruments and accounts for 90 per cent of group revenues) and Radel Advanced Technology Pvt. Ltd. (the aerospace business) - employ 80 people and have sales revenues of Rs 10 crore. Radel is still a small enterprise. But Raj Narayan is working with the aviation wing of the Indian Navy, and hopes to get business from the Army too, since Radel is one of the few Indian players to be certified by the Centre for Military Airworthiness Certification - a Defence Research and Development Organisation lab. "I am looking at 100 per cent growth in the next two years, possibly even 150 per cent, if 'Make in India' takes off." 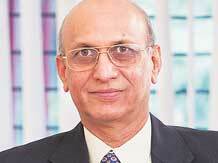 Raj Narayan concedes that for nearly 10 years after he started in business, he continued with his "garage mindset", and it was only when he won an award for electronics in 1987 that he thought, "I must shift to an industrial estate in order to become a bigger player." He has taken care to ensure that R&D is Radel's core strength. "The R&D team gradually grew, but took a quantum jump when the company set up its facility in Electronics City in 1995. The team now has about 16 engineers who design the electronic circuits, the software, the printed circuit boards, the mechanical housings and structures, the plastic cabinets and everything else that contributes to complete product design," he says. The disadvantages of being small are repeatedly felt. Though his aerospace company alone has orders in hand worth Rs 1 crore, working capital is hard to get from public sector banks. However, Raj Narayan turned one such disadvantage into a business opportunity. He found it hard to recruit engineering talent. Moreover, new recruits, once trained, would soon depart for greener pastures. So he set up the Drona Centre for Excellence as a division of Radel, "primarily to produce trained and productive engineers out of fresh graduates". Since Radel also possesses core aerospace domain expertise, "Drona also offers training courses in avionics systems, besides electronic product design. This allows the trainees and engineers a hands-on exposure to live projects that they can also see physically implemented for a real client," says Raj Narayan. This finishing school is the group's third revenue stream, and so far it has taken in two batches of 30 students each and trained them, after which they were free to leave and join other companies. The centre also holds short-term courses for engineering students during their holidays. Though in his mid-sixties, Raj Narayan intends to continue at the helm of Radel for six or seven years more. "I am in the process of grooming a second line of leadership, who can take over when I retire," he explains.